The first photos of EgyptAir 804 debris were released. 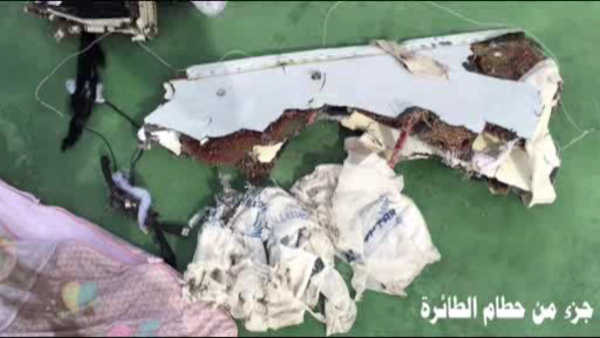 CAIRO, Egypt -- A senior Egyptian forensics official says human remains retrieved from the crash site of EgyptAir flight 804 suggest there was an explosion on board that may have brought down the aircraft. The official is part of the Egyptian investigative team and has personally examined the remains at a Cairo morgue. He spoke on condition of anonymity because he isn't authorized to release the information. All 66 people on board were killed when the Airbus 320 crashed in the Mediterranean early Thursday while en route from Paris to Cairo.